[Satnews] Effective Space Solutions, a provider of in-orbit services, has signed a Letter Of Intent (LOI) with a satellite operator for a multi-year life-extension service. The company’s on orbit service spacecraft will rendezvous and dock with the customer’s GEO communication satellite to perform station-keeping. This insured service will benefit satellite operators with beyond-end-of-fuel continuous service and will also allow them to defer a major capital expenditure on a replacement satellite. Effective Space Solutions deploys a fleet of small spacecraft with a universal docking system, providing satellite operators with life-extension and other in-orbit services, such as relocation, orbit correction, inclination correction, bring-into-use (BIU) and deorbiting. 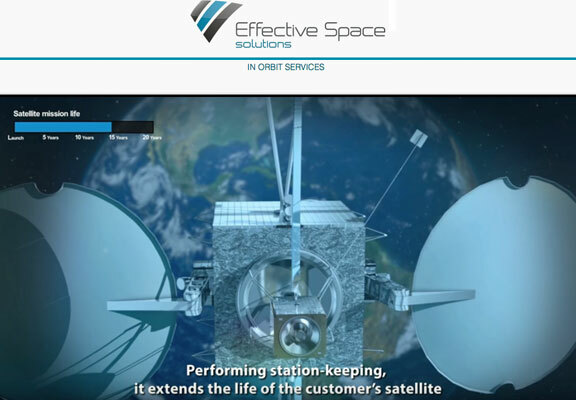 Effective Space Solutions initiated its spacecraft program in 2015 with a leading satellite manufacturer, after a detailed design phase. The company has also secured rideshare launch services for its first spacecraft, to be provided in 2018. Effective Space Solutions is showcasing their services at booth #147 at SATELLITE 2016, March 7-10, 2016, Gaylord National Convention Center, National Harbor, Maryland.